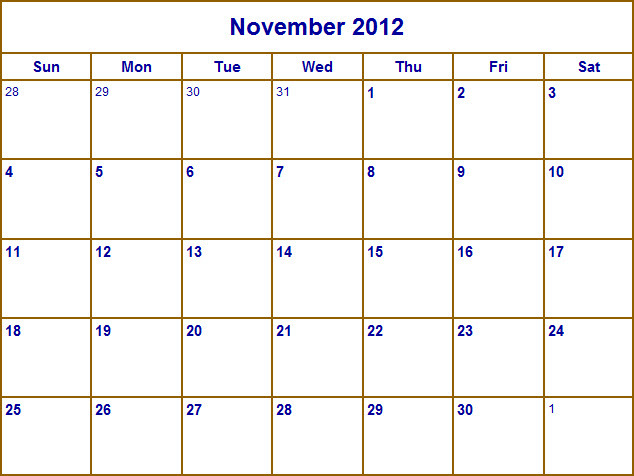 Change the colors of the lines and the dates and text. Fade the background photo for a better printing effect. 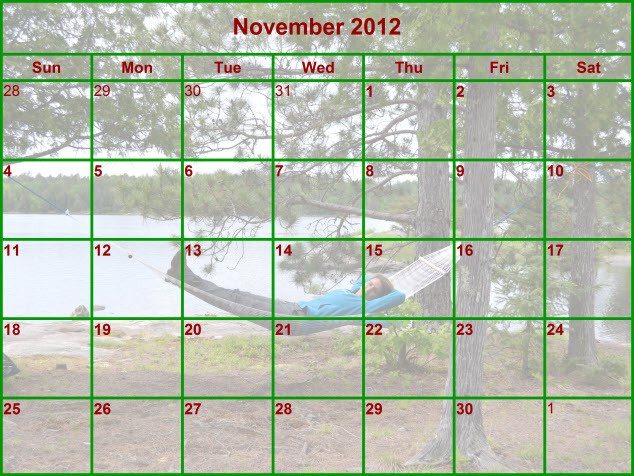 Or remove the photo entirely and just print a calendar month. 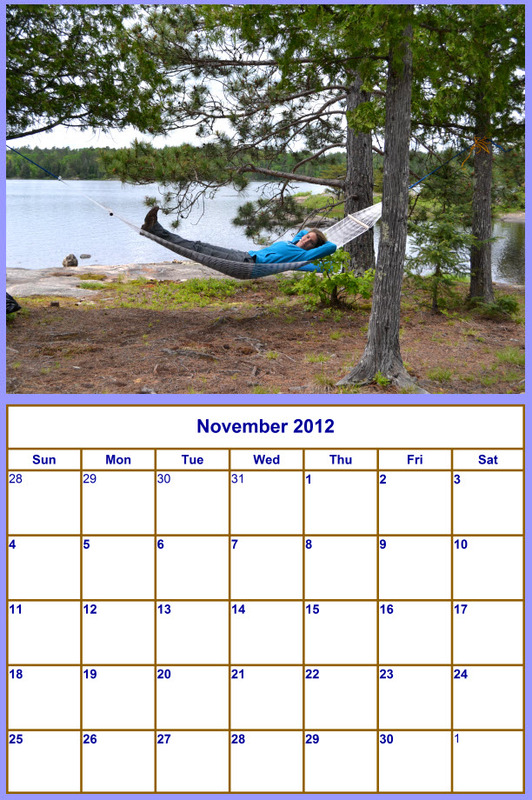 Or combine a calendar month and a photo together and make a complete calendar year with a different photo for each month. 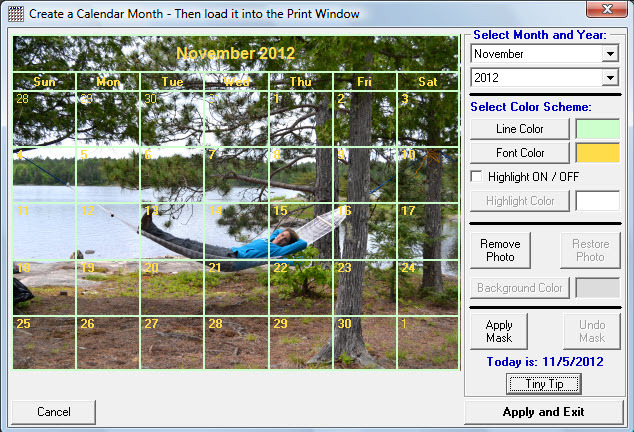 The Photo Calendar window will appear allowing you to make any of the modifications listed above. 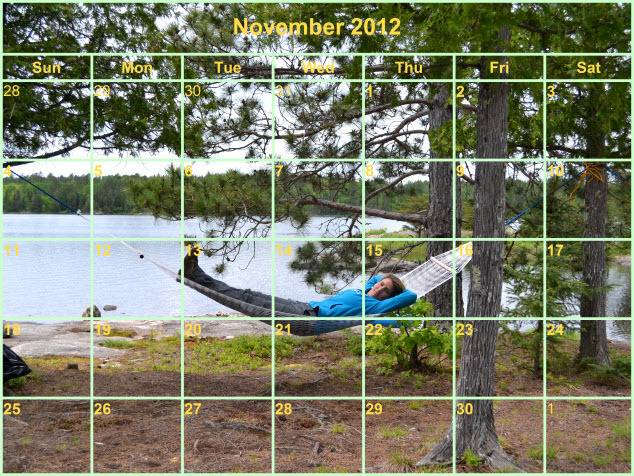 Apply a transparent mask to the photo to fade it into the background, or leave the photo as is. 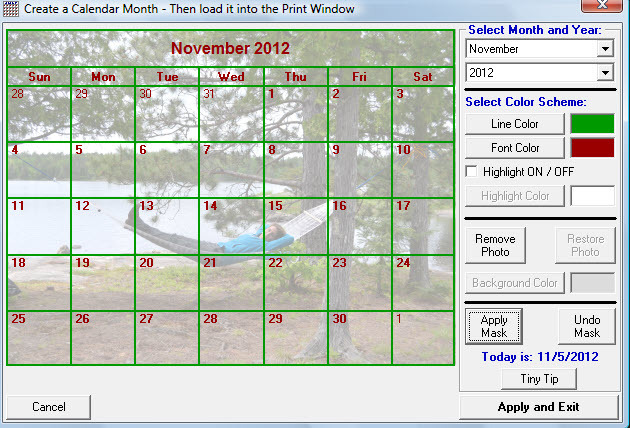 When ready, click the "Apply and Return" button to return the newly created calendar to the photo printing window. 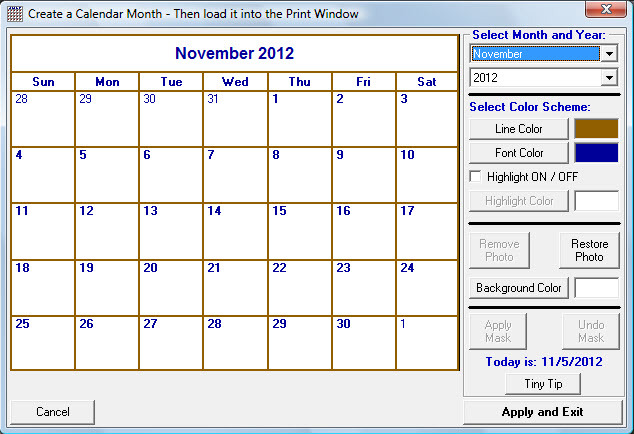 When ready, click the "Send Page to Printiner" button.